This footbridge connected the ravelin with the main fort. There are cannons along the wall of the fort, with their barrels pointing through embrasures. 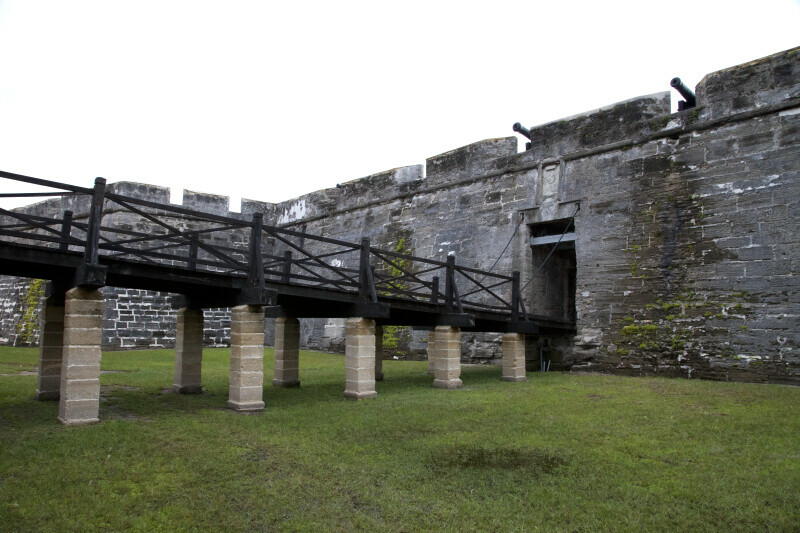 The fort is a National Monument, and is listed on the National Register of Historic Places.